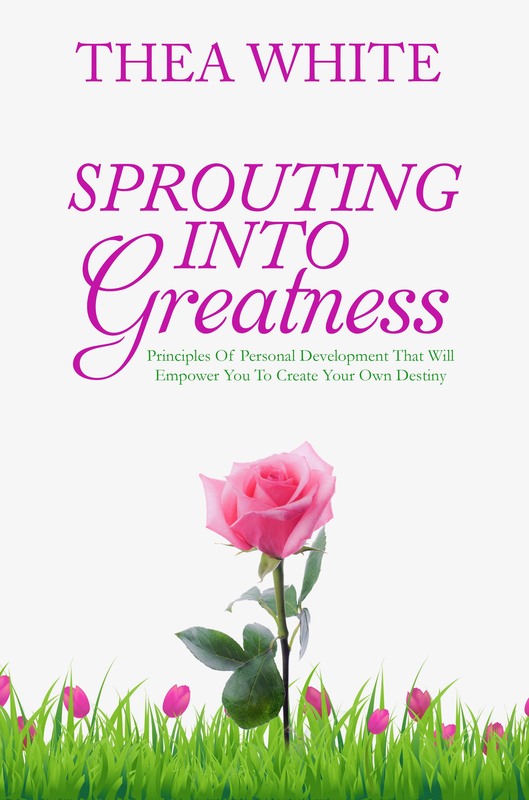 Sprouters Sprouting is proud to announce the launch of Thea White's debut self-development book: "Sprouting into Greatness: Principles of Personal Development that Will Empower You to Create Your Own Destiny." White's gentle but firm pen will guide you from start to finish, traversing the definition of 'sprouter' and showing you how to transform into one and incorporate that particular lifestyle into your own life. For White, successful professional life is an invaluable part of contentment. Backed by years of experience and success, she offers invaluable advice and guidance on how to recover the spark that is often put out by the pressures of our hectic everyday lives. Her method promises to reclaim that spark and shows you how to nurture and channel it to turn your career into a purposeful and profitable, brand-focused business. "Sprouter is a person that recognizes that change is good." says White. "Sprout means to reject and eject yourself from poverty, struggle, ignorance, sickness and blame. "A sprouter speaks positively, realizes opportunity and understands that nothing, I mean nothing, matriculates without tenacity." "Sprouting into Greatness" packs a punch. But don't worry, it is meant to shake the tree a little bit and challenge you to spring back into life, so you can be "a person who promotes change, growth and continued improvement in life." If you want to leave fear and doubt behind and embrace the path you were meant to walk on in the first place, this is the book for you. Thea White is a proud wife, mother, successful entrepreneur, educator and community leader who lives in Florida. With over 10 years of experience as an educator, she offers professionals and business owners all over the world advice on how to overcome poverty-based thinking and mediocrity and live a successful and purposeful life.